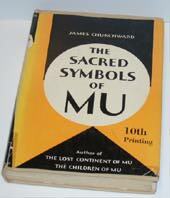 In this, the third book in the famous series, Churchward examines the origin and original meanings of the world's religious symbols and their common source -the ancient Continent of Mu, Mu, the Motherland, whose legacy is displayed in the underlying unity of religious symbology shared by all later civilizations (ancient, vanished and current). The author devoted fifty years piecing together the story of this highly developed society which flourished in the Pacific Ocean region over 20,000 years ago. I highly recommend the study of all James Churchward's works to give the seeker of divine knowledge the key to unlock all doors through the symbolic truths of the ancients."